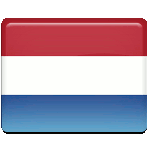 Liberation Day (Bevrijdingsdag) is a public holiday in the Kingdom of the Netherlands celebrated annually on May 5. It marks the liberation of the Netherlands from the Nazi occupation during the Second World War. The Netherlands remained neutral during World War II, alongside Ireland, Portugal, Spain, Sweden, Switzerland, Lithuania, Latvia, Estonia, and microstates (Andorra, Liechtenstein, Monaco, San Marino and Vatican City). In spite of its efforts to be neutral, the Kingdom of the Netherlands was invaded by Nazi Germany on May 10, 1940. The majority of the royal family and the Dutch government were evacuated to London and set up a government in exile. In a month, heir presumptive Princess Juliana and her children moved to Canada for additional safety. After the establishment of the puppet Vichy government in France, Prime Minister De Geer wanted to return to the Netherlands and collaborate with the Nazis. Queen Wilhelmina, however, refused to collaborate and dismissed the prime minister. Shortly after the country was placed under German occupation, the Nazis began to deport Dutch Jews to concentration camps. The Jewish population of the Netherlands suffered considerable losses during the war, with the survival rate of about 27%, which is much lower than comparable countries, such as France and Belgium. The Dutch resistance developed really slowly and was decentralized, but it played a crucial role in the liberation of the Netherlands after nearly five years of occupation. After the Normandy landings in June 1944, Allied forces began to advance in the direction of the Dutch border. The first attempt to liberate the Netherlands was Operation Garden Market fought from September 17–25, 1944. The Allies liberated substantial regions in the southern Netherlands but failed to capture the Rhine bridge and advance to the north. It was Canadian forces that managed to cross the Rhine months later. On May 4, 1945, the German forces in the Netherlands unconditionally surrendered, coming into effect on May 5. After the liberation of the Netherlands, its anniversary was celebrated every five years. In 1990, Liberation Day was was declared an annual national holiday. Its celebration is preceded by Remembrance of the Dead (Dodenherdenking), a remembrance ceremony that honors the memory of people who have died during wars and peacekeeping operations, members of the armed forces and civilians alike. On May 5, the end of the German occupation is celebrated with parades of veterans and musical festivals held throughout the country. Festivities that take place in the national capital of Amsterdam are attended by government officials and members of the Royal Family. Although Liberation Day is a public holiday, this doesn’t automatically make it a non-working day. The holiday is a day off for employees in the business sector if it has been agreed upon in a collective labor agreement. Otherwise, it is up to employer whether to grant the employees a day off or not. For public employees, this is usually a non-working day.